U.S. and Mexican negotiators are working on a car deal that would involve Canada. The U.S., Mexico and Canada have a good opportunity to reach a NAFTA agreement this month, and getting there will depend on the political flexibility of the Trump administration, according to the top representative for Mexico’s private sector. 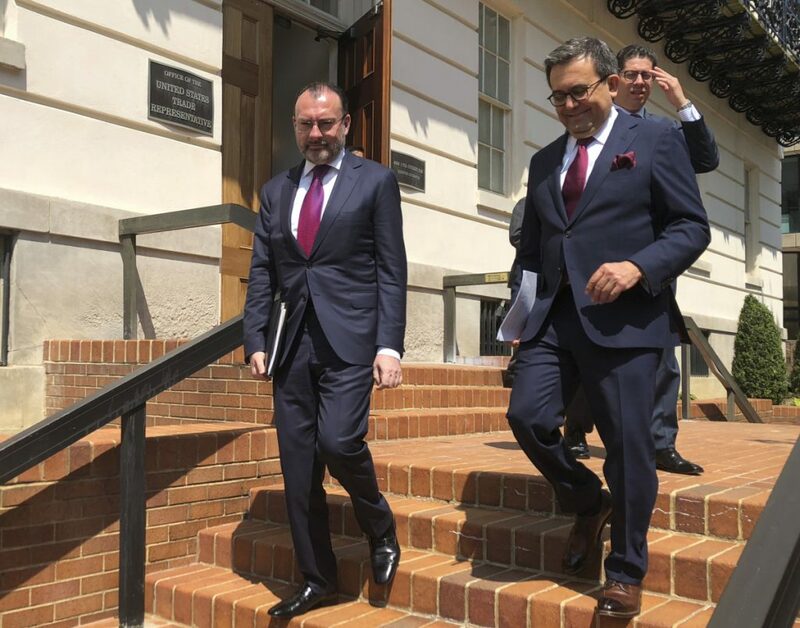 Mexican Economy Minister Ildefonso Guajardo plans to travel to Washington on Wednesday for meetings with U.S. Trade Representative Robert Lighthizer, their fourth set of talks in as many weeks, said Moises Kalach, the trade head for the national business chamber. Teams have advanced significantly on areas including content rules for cars and intellectual property, said Kalach, who is part of a group that receives regular, closed-door updates on the process. The press office of the Mexican Economy Ministry didn’t immediately respond to a request for comment on Guajardo’s schedule. U.S. and Mexican negotiators have been working to reach a NAFTA cars deal that would allow Canada to rejoin talks and move toward resolving the toughest issues that affect all three nations. Canada hasn’t attended meetings in the past three weeks, and Trump administration officials have been more publicly optimistic about talks with Mexico. Kalach said he expects Canada to rejoin the talks in the coming days, and both Canada and Mexico have reiterated that they want and expect NAFTA to remain a three-nation agreement. The nations are pushing for a deal by the end of this month in order to allow sufficient time for President Trump and his Mexican counterpart, Enrique Pena Nieto, to sign the pact before President-elect Andres Manuel Lopez Obrador takes office Dec. 1. That would take the pressure off Lopez Obrador and allow him to focus on other priorities. “If we don’t take advantage of this window of opportunity, it will close towards the end of the month, and the push would lose force and we’d need to look at another calendar” for getting a deal, Kalach said.